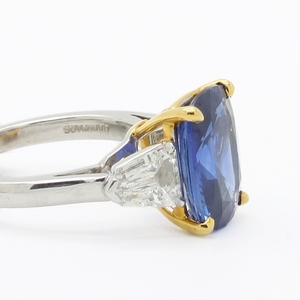 Large Sapphire Ring With Shield Side Diamonds at Reliable Gold in Providence, RI Reliable Gold Ltd. 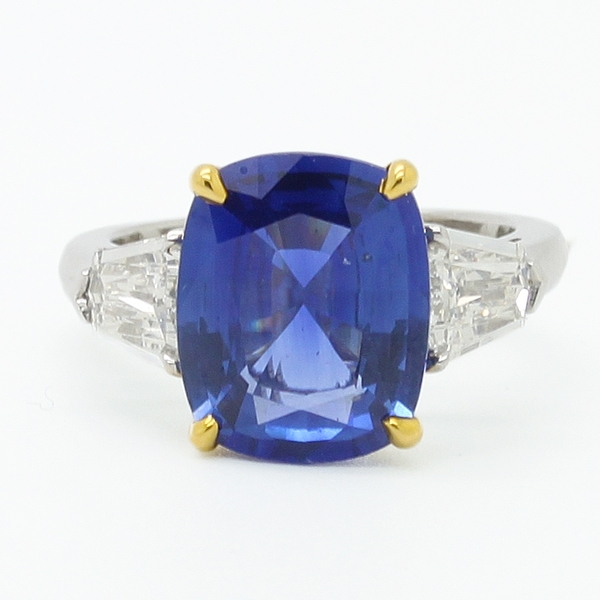 Commanding and beautiful ring with a knockout cushion cut sapphire from Sri Lanka, approximately 6.20 carats, flanked by two sparkling shield-shaped diamonds, approximately 1.24 carats total weight, F, VS1-VS2, in an 18K yellow gold and platinum mounting. 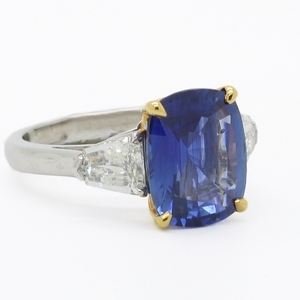 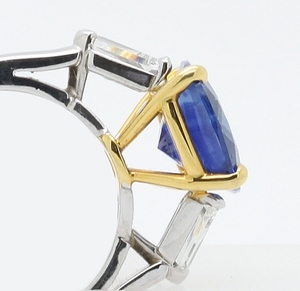 All stones are GIA-certified in this heirloom-quality, truly special piece.